have just a few hours with her again. I would listen to her and not lose my temper, sniff or complain. Even when she narrates everything she’s doing as she’s doing it, or comments on every single thing or person we pass in the car! I would hug her more often. I would bring her little luxuries more often than I did. I tried to bring small presents, especially jewelry, whenever I traveled somewhere exotic or new, and she loved that. I wouldn’t tell her that I hated salmon croquettes. They were her favorite, so she thought they had to be mine as well. I would believe her advice and act on it. Well, maybe not. I would break that bushel of green beans she promised to Aunt Eunice and only grumble once. I would understand why she spoiled my brother, and why she never stopped trying to change me into a different person from the one I am. I would kiss her soft, old, wrinkled cheek. That would be best of all. Happy Mother’s Day to all the mothers out there, and to all of us who ever had one! I still miss Mother a lot. We made each other crazy when I was growing up, and I got as far away from her as I reasonably could. But I never left for good and I always came back. Following are some excerpts from a story I wrote for a writing class. It wasn’t really a story; it was a list of recollections. So here are some random memories of Mother, for Mother’s Day. 1. Her eyes used to be dark brown, very big. Uncle Hoy said she was the prettiest girl in the community where they grew up, which was Blooming Grove, Tennessee. In her old age, they faded to almost tan-colored. 2. She wore print cotton dresses in cheerful flower patterns. She didn’t wear pants until after Daddy died in 1977, I don’t think. 3. She fell and cracked her kneecap chasing my dog Whitey around the yard when I was 8 or 9. She was trying to throw away sticks blown off the trees by a storm. He kept fetching them back, and she yelled, “You stupid dog!” and chased him with a stick. I laughed and laughed, until she slipped on the wet grass and fell. 4. The only time she ever went to Florida, I took her. I drove from Atlanta in September 1981 and picked her up. We drove to St. Augustine and Daytona Beach. It was the coolest September on record. But she finally saw the ocean, the red and orange sunrises and sunsets, walked in the edge of the surf, and sat in a beach chair on the boardwalk with some other people, who seemed elderly to me. We went to Marineland, and she was too tired to walk from one show to another. That’s when I knew she was sick, not just getting older. She was sick ever after that. Mother must have been about 62 years old. 5. She stayed with me in the hospital for a week when I fractured a vertebra in my back. I was 10 years old, and had been thrown out of a swing when the chain broke on my side–six kids in a porch-type swing in a frame, trying to see how high we could go. I was so bored, because the hospitals didn’t have TVs then (1965? ), and she couldn’t drive, so she couldn’t get to the library. She bought me every children’s book in the hospital gift shop, all the ancient paperbacks—Five Little Peppers and How They Grew, Elsie Dinsmore. I read them all. I hated Elsie Dinsmore. What a little priss! 6. When I was in high school, she made a trade with Aunt Eunice Settle (Daddy’s sister). We would can a bushel of Kentucky Wonder beans for her, and Aunt Eunice would slipcover our couch. It took both of us an entire day. Aunt Eunice’s work was done in about three hours. Aunt Eunice always got the best of any bargain going. 7. Mother’s hands were always big and knobby-jointed. She said they were like Papa’s (her father, Herman Bowers), while mine were long-fingered and thin like Mama’s (her mother, Blanche Collier Bowers). Papa and Mama both died before I was born. 8. Mother never learned to drive, ride a bike, or roller-skate. She liked to play Rook, a sort of Southern Baptist card game with no “face cards.” Good Christians didn’t play cards when she was a child. 9. 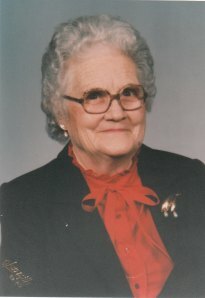 Aunt Elsie was Mother’s best friend from the time they were five years old. One day when they were children Mother had a new dress, a rare occurance, and Aunt Elsie wanted to wear it. They switched dresses on the way to school so Aunt Elsie could wear it. That’s how much Mother loved her, that she would do that. Aunt Elsie was an aunt by marriage. She and Mother married brothers; Mother married George, Aunt Elsie married Jesse. Aunt Elsie’s brother, Uncle Floyd, married Mother’s sister, Aunt Mattie Lou. The entire “story” is “50 Things About My Mother.” I wrote them in a notebook as I commuted by train to Manhattan. I’m glad I got them written down. Happy Mother’s Day to all my family, friends and readers! Several years ago my niece Judy found an old camera with film in it at my sister Glenda’s house in Ohio. My brother-in-law John bought it in Japan while he was in the Navy during the Korean War. It took color photos, which wasn’t common at the time among amateurs—this was some time before Instamatics and Kodachrome. This must have been a family outing of some sort since John and Glenda were there, and at that point we all lived in Clarksville, Tennessee, 40 miles away. I’m standing alone on the steps of the Confederate Memorial in Centennial Park in Nashville. It’s summer, and I will be three years old in the fall. At the corner of the photo is my mother’s shadow, stretching over the steps close to my feet. She has a middle-aged figure, stout around the waist, and is wearing a bucket-shaped hat with a brim. Her shadow leans toward me. Mother is not reaching out to keep me from falling, but one feels that the moment the picture is taken she will sweep me off the stairs to safety. I spent most of my life convinced I was utterly unlike my mother in every way. I was rational, she was emotional. I was calm, she was nervous. She used to say, “You’re just like your daddy,” and I was proud. I tried to practice being the strong, silent type like him. I found it hard to say what I felt. But as I grew older I realized I wasn’t calm, I was just pretending to be calm. I was rational, but I had emotions too. Mother died in 2004 after many years of illness and devoted care from Glenda. I miss her on Mother’s Day especially. No matter how old I get, her shadow is still there, on the edge of the picture. When I was growing up, Mother’s Day was a big event at the First Baptist Church in Clarksville. Brother Laida always preached about Biblical mothers (with not too much emphasis on Mary, mother of Jesus) and sometimes a segue into Ruth and her loyalty to her mother-in-law Naomi. small. “You wear a red rose or carnation if your mother is alive, and a white one if she’s not,” she said. Mother and Daddy each wore a white carnation and I wore a red one, all bought at the grocery store on Saturday. In later years when we lived on the farm I wore a red rose pinned to my dress from the old-fashioned rosebush that spilled over in our front yard. Mother always talked about her mother on that day with a mix of sadness and detachment that I found hard to understand. I remember her saying I had her mother’s hands, long-fingered and slim. Mother and I had very different personalities, and my stubbornness irritated her. Life was a constant battle for control, and I almost always gave in. I moved away to gain some freedom, but I never stopped coming home. No matter how we disagreed, I knew she loved me. Her health deteriorated in her last years, and my sister Glenda moved her to her own town in Ohio and took care of her. Even when she was in her bed in a nursing home, Mother was still herself. Racked by strokes, she could hardly speak. I would visit her, flying in from New York, and talk about nothing while she struggled to respond, But when I went to leave, she managed to say the same things every time. “Did you park at the airport? Will you get home before dark? Be careful,” she said, very slowly. Her dark eyes followed me as I walked out the door of her room. I miss her still. I wish I had a white rose to wear for her on the day.